The melee happened Tuesday night when a sergeant asked him to stop dragging his sandals as he walked, according to a Broward County Sheriff's report. Nikolas Cruz, the man accused of killing more than a dozen of his former classmates at a Florida high school, is facing new charges for attacking a jail guard, authorities said Wednesday. Cruz, 20, has been charged with two counts of aggravated assault on an officer and one count of use of an "electric or chemical weapon against a law enforcement officer," according to jail records. The fight happened Tuesday night at the jail in Fort Lauderdale when a sergeant asked him to stop dragging his sandals as he walked, according to a Broward County Sheriff's report. Cruz gave him the middle finger before the accused killer "rushed him and attacked him in the face," according to the report. Cruz got on top of the sergeant and punched him several times, the report said. The 5-foot-7, 120-pound Cruz then grabbed the guard's "conductive electronic weapon" during the fight, which lasted about 90 seconds, and it went off during the struggle. The Taser did not injure either Cruz or the deputy, according to Broward County Sheriff's Sgt. Anthony Marciano, a union rep for the jail guards. The sergeant guarding Cruz got the weapon back but the fight continued, according to the report. Cruz hit the sergeant "several more times" before the guard punched him back. 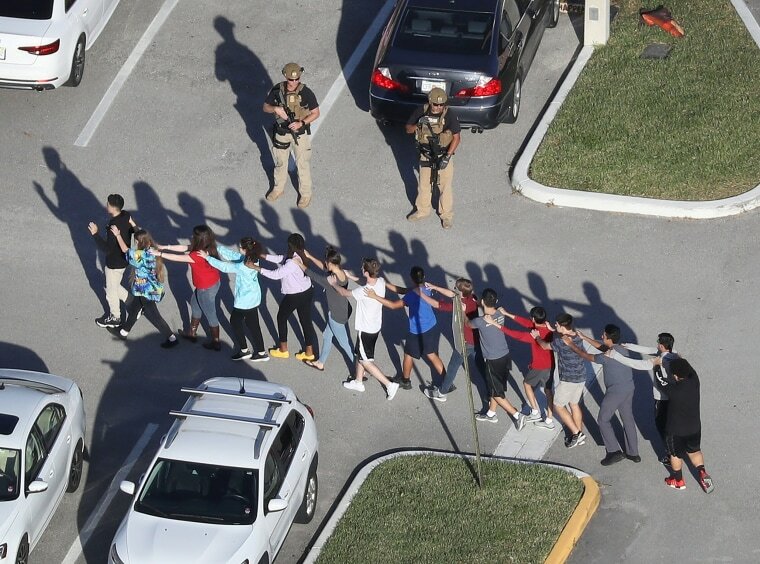 Cruz is facing 17 murder charges for the mass shooting at Marjory Stoneman Douglas High School in Parkland on Feb. 14. Cruz is separated from the rest of the jail population but is allowed several hours outside his cell in a common area by himself. But after this incident, Cruz will be locked in his cell for 23 hours a day, Sgt. Marciano said.